There comes a certain point in life where it is a good idea to start thinking about your retirement housing options. From retirement facilities to purchasing the perfect retirement property, we are here to help you find the living situation that will best meet your needs. Whether you are looking into retirement homes for sale or are simply searching for future opportunities, there are many options well-suited for you. However, it is important that your move and new home meet your unique needs while still remaining within your budget. 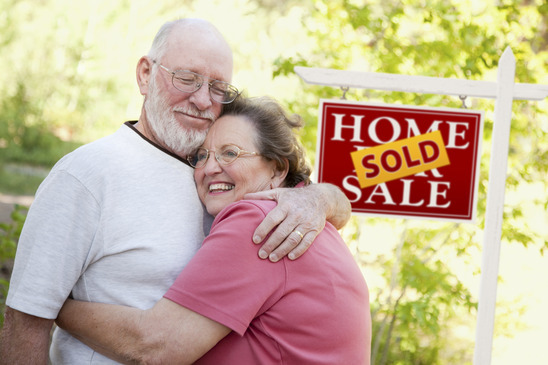 There are several advantages of purchasing retirement homes for sale. Below you will discover some of the advantages to owning a retirement home. Smaller homes can lower utility bills - Retirement homes are typically smaller houses or condos that offer the elderly a chance to maintain their independence. A reduction in square footage can also result in lower utility bills, as well as fewer maintenance expenses. Purchasing a home five to ten years before retiring - Purchasing your retirement home while you are still working will help you to be better prepared for the future. This option also has the potential to turn your retirement home into an investment for your family. For example, if you purchase a retirement home on the beach, but don't plan on using it throughout the year, then you can rent it out for an extra source of pre-retirement income. Live in a retirement community, while still owning your own house - Throughout the country there are several retirement communities that are specifically designed for 55 and older. These retirement communities tend to offer perks, such as: swimming pools, resident only social gatherings, access to golf courses, and transportation services. Retirement homes offer residents a chance to relax in the later stages of life, without having to worry about a mortgage or other mundane living expenses. There are several advantages to living in a retirement facility; although, it is important to note that not all retirement communities are equal. Enjoy living in a community with individuals who share the same interests. Don't worry about having to pay a monthly mortgage, utilities, maintenance, or other expensive costs that are associated with owning a home. Easy access to on-staff health care providers - Retirement homes are often staffed with nurses and often equipped with medical transportation vehicles. Let someone else handle the cooking - Many retirement communities have catering and dining in options for residents. Down size from an empty house to a cozy condo - Some retirement homes offer various levels of living arrangements. The various levels range from independent to assisted living options. Recreational activities are often abundant in retirement homes. Improved social activities - When you live in a retirement home or community, you will find that there are a vast number of events that will soon fill-up your social calendar. As you begin to consider your retirement living plans, we invite you to contact us about the current retirement homes for sale. We would be happy to answer any of your questions about retirement facilities or help you to find the perfect retirement properties for sale, that will meet your current and future needs.